It has happened before, like in the sixties, for political reasons, when Operation Peter Pan was executed, an action against the Cuban government that separated hundreds of children from their parents. Some of them had the chance to be relocated into good families and became college graduates and even television stars. Others suffered the harassment of those families who welcomed them or simply ended up as social scum. Now history repeats itself like a déjàvu. Under the government of Donald Trump the Immigration Customs Enforcement have lost about 1500 immigrant that have being separated from their parents from Central American countries. The administration of President Trump admitted that 1,475 immigrant children, were distributed for their custody among private tutors last year; however, now they have no way to locate them. Although the humanitarian organizations have reported the irregularities, children are still being searched. The Center for Latin American Studies estimates that 85% of them are located with relatives or acquaintances, and only 60% with their own parents, according to official data. Also, the inhuman conditions these children are subjected after being arrested with their parents at the borders have been strongly criticized. In addition to this, there is the never-ending waiting process minors endure in relocation shelters where they are exposed to starvation and ill-treatment. Several senators and politicians of Hispanic origin have denounced this fact and point out that what happened is not a coincidence, but the result of the strong racism of the current government that has neglected the location of these children. It was known that these minors are part of a group of 7600 people who were arrested at the border in Texas. 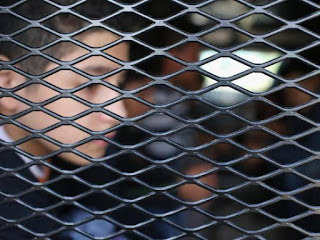 After the arrest of the adults, children were placed in the hands of "sponsors" in the United States by the Department of Human Services and Health, an everyday practice that gives shelter to the kids who enter the country illegally with their parents. Apparently, the Department is not well organized or simply does not care to know where these children are sent to. Although there is a protocol to be followed and very detailed steps on how the procedure should be done, there are racist reasons why these children of Central America have been left “out the radar”. In contrast, Trump has attacked on Twitter the Democrats who misused a 2014 photo to accuse the president of separating migrant children from their families. "They thought they were recent photos to make us look bad, but it backfired. Democrats must accept that the Wall and the new Border Protection are good for the country", Trump twitted. And although it is true that the photos were taken during Obama’s administration, the new president has not stopped showing his rejection and recrudescence for a hostile policy against migrants. The zero tolerance policy adopted by Jeff Sessions and backed by Trump will increase the number of children who will be separated from their families. According to this policy, the government could present charges against those who cross illegally, so if minors are transferred to prison after crossing the border with their parents, they will be removed. The debate on emigration is the number one point in the upcoming US legislative elections’ agenda. The counterpoint between both sides is so highlighted that according to analysts this topic could define the number of Democratic and Republican seats in Congress. While this is happening, it is estimated that from October last year to date, around 700 children have crossed the border and have been separated from their families. However, this figure could increase so far this year and in the future. The tightening of anti-migrant measures, as well as the cancellation of DACA and the increasing pressure crested on the Immigration Customs Services to execute arrests will raise the statistics.